Whether you’re renovating your home or building from the ground up, we’ve got the windows you need to beautify and protect your space. Andersen® Windows are high-performing, dependable products supported with exceptional service and backed by the best warranties in the industry. 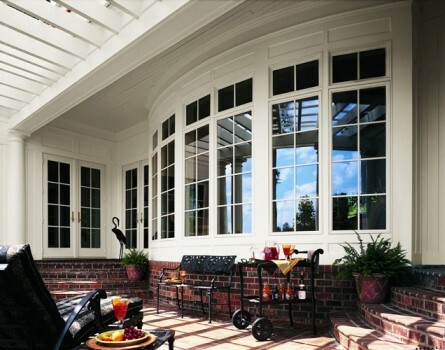 Andersen® is the most trusted and most recommended brand of windows and patio doors among contractors. (Based on 2016 Survey of trade contractors). Please visit one of our showrooms for a firsthand look at a wide range of Andersen windows, or browse our popular product selections below for more information. Remember, we can custom order any window or specialty window item your project requires! Is it time to replace your old, rattling windows? If so, you may be wondering: what’s the difference between replacement windows and new construction windows? Replacement windows are a fast and budget-friendly solution, and can be an effective way to stop the rattle and in most cases increase the insulated glass value. These custom-sized units are designed and measured to fit inside your existing window frame with relatively simple installation. They only replace the window itself, not the sill, frame or interior decorative molding, which saves time and labor costs with all the benefits of new windows. However, you should keep in mind that the size of the glass will be reduced slightly to accommodate both the existing frame and the new window unit’s frame. Also, replacement windows will not address any degradation of the existing window sill or frame. If instead of the quick solution, you want to either restore damage to the original frame and sill or create a larger window opening, then new construction windows are for you! New construction windows are generally installed when a brand-new home or new home addition is being built. But if your frame and sill are degraded, then new construction windows may be the answer for you. New construction involves removing the existing frame and sill, and possibly even exterior siding around the window opening. A skilled contractor can match these exterior materials once the new window is installed. New construction windows require a greater investment of time and budget but there are also clear benefits. They provide brand-new airtight and waterproof seals, which increases energy-efficiency, saving you money in the long run. They are also an opportunity to rethink the window layout of an entire room! You can increase light and circulation, bring the outside view indoors, plus add space to the room with a bow-shaped window. 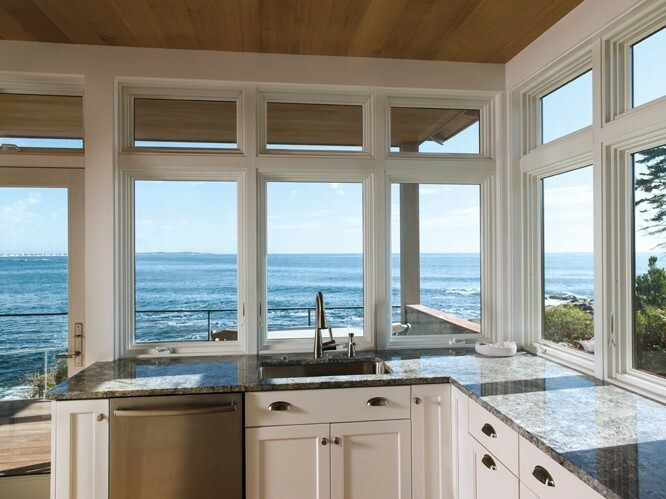 Whatever the scope of your window project, our team of experts are ready to answer your questions, discuss your project, or make recommendations. 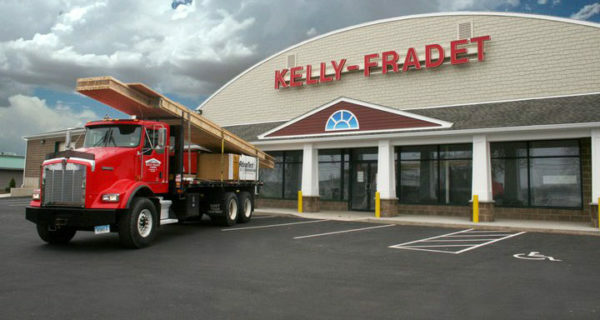 Stop in to one of our showrooms to explore a variety of replacement windows and new construction windows, and to speak with a professional today! Double-hung windows have top and bottom sashes that move up and down independently, allowing for a range of ventilation options. Because the sashes do not open outward, double-hung windows are an excellent choice for rooms that face walkways, porches or decks. Single-hung windows have only a lower operating sash that can be moved up for ventilation. Because the sashes do not open outward, single-hung windows are another excellent choice for rooms that face walkways, porches, or decks. Casement windows are hinged on the side with the sash opening opposite the hinge. This type of window allows for full ventilation from top to bottom of the window opening. Plus, the extended sash can catch the breeze and direct it into the house for better air flow. Awning windows are hinged on the top, with a sash that opens outward from the bottom. While less convenient when facing a walkway, awning windows allow for ventilation even in light rain. They are often paired with large picture windows to add ventilation to the view. Combining three or more windows so that they angle out beyond the house wall, bay windows (also called “bow” or “garden windows”) are a dramatic way to add light. They can be casement, double-hung or picture units depending on your needs. Picture windows do not open. Because of this, there is no ventilation, but they are more energy efficient and can come in larger sizes. Multiple picture windows are often used to create the best view, and ventilation can be added by combination with awning windows. If traditional window styles don’t fit your home improvement plans, you might consider specialty windows. Andersen specialty windows let you choose from a variety of uncommon shapes, including elegant arches, striking angles and compelling curves.